103.1 Fresh Radio also known as CFHK FM is an online based hot Adult Contemporary radio station broadcast from London, Ontario Canada. Here providing Adult Contemporary, Pop, Rock music and playing Katy Perry, Justin Timberlake, Maroon 5, Kelly Clarkson, Bruno Mars, Pink Floyd, Kelly Clarkson, Adele and more! This station owned by Corus Entertainment. 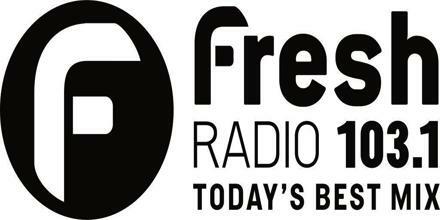 The network was rebranded to Fresh Radio in February 2015 and was expanded to include two stations in London, Ontario. Fresh Radio features the best songs in pop and rock from the ’90s through today. The station plays a rhythmic-leaning adult top 40 format. The station adds a large dose of fun and honest, relevant conversation with their listeners. CFHK was originally CHLO, an AM station broadcasting on 680 kHz and with studios in St. Thomas, Ontario. An “agreement” was reached whereby CHLO relocated to 1570 kHz in the 1970s. The station continued to operate out of St. Thomas until the late 1990s. On January 12, 2000, CFHK joined the “Energy Radio” network, while The Hawk moved to co-owned CKDK in Woodstock. In August 2004, Energy Radio changed formats to its current adult top 40 formats to go up against adult contemporary station CIQM-FM and adult hits station CHST-FM. 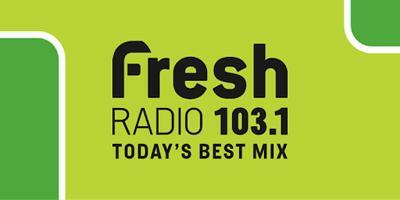 In August 2005, the Energy Radio brand was folded completely, and CFHK rebranded as “103-1 Fresh FM”, due to the fact it could match the current CFHK calls. In February 2011, Mindy Williamson was let go from Fresh Mornings, as the radio station apparently indicated they were moving in another ‘direction’. D (Darrin Laidman) and Gord remained as morning show hosts for a while longer. By August 2012, CIQM-FM flipped to top 40, leaving CFHK as the only hot AC station again in London. This was to fill the void left by the pre-2004 CFHK. Friday – 2:00 PM – 7:00 PM. 380 Wellington St, #222; London, Ontario, Canada; N6A 5B5. Main Office Hours: Monday to Friday 8:30am – 5:00pm. Liveonlineradio.net has 103.1 Fresh Radio in its listings. Just click and enjoy. 103.1 Fresh Radio – www.liveonlineradio.net/canada/103-1-fresh-radio.